Earlier last month, Google announced Android Wear 2.0 operating system along with unveiling the LG Watch Sport and LG Watch Style. As of now, the only smartwatches that are running Android Wear 2.0 are LG’s Watch Sport and Watch Style, however, Fossil has revealed that all its smartwatches will receive the Wear 2.0 update this month. There are three Fossil smartwatches which are going to receive the Wear 2.0 update – the Q Founder, Q Marshal and Q Wander – however, until now, there wasn’t any exact timeline from Fossil as to when the update would be rolled out. Well the company on Twitter has revealed that the update will start rolling out this month. “The update is expected to be released in mid March to all of our devices.” said Fossil on Twitter. Though Fossil has said that the update will be rolled out in mid-March, the company hasn’t revealed any specific date for the roll-out. 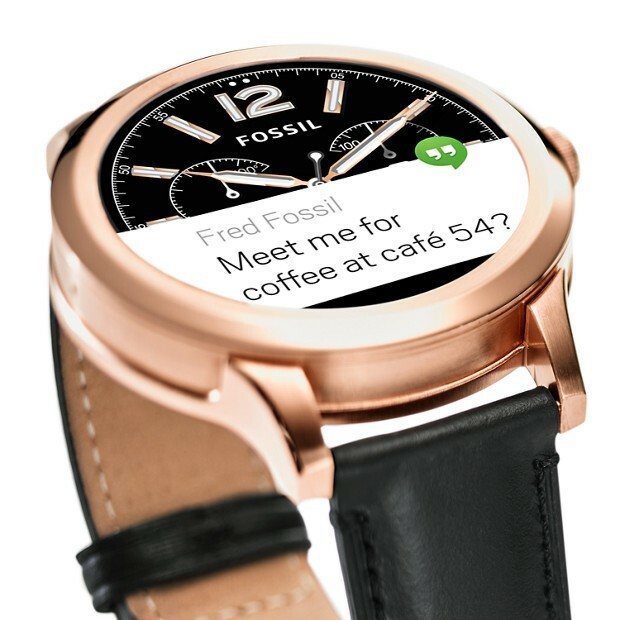 Needless to say, that with Wear 2.0 update, the above mentioned Fossil smartwatches will get features like On-Watch Play Store, Google Assistant, Improved Watch Faces, Google Fit and much more. Out of all the features, the On-Watch Play Store remains our favorite, because of course, you can download the apps directly from your smartwatch instead of having to rely on your smartphone. If you own a smartwatch, you can check out this list of smartwatches that will get Android Wear 2.0 update.